Favourable demand forecasts aren't enough to make money in aged care. Focus on supply. Public spending on residential aged care is set to explode, so it makes sense to buy those stocks on the receiving end of all that money – Japara Healthcare (ASX: JHC), Regis Healthcare (ASX: REG) and Estia Health (ASX: EHE). It's a well-worn story. A similar one was peddled in the 1990s as the Internet gained popularity. Growing demand for online services seemed – and, indeed, was – inevitable. The trouble is that attractive demand forecasts need to be paired with attractive supply forecasts for anyone to make any money. In the Internet's case, high demand led to a hysterical period of capital investment – so much fibre optic cable was installed in the US during the dot-com bubble, it could have circled the earth 1,600 times. Today, though, there are still long stretches of unused fibre optic cable in the US. Tens of billions of dollars has been written off from telecom networks due to overcapacity. Despite the rosy demand forecasts being 100% accurate, shareholder wealth was destroyed, not created. The aged care story is easy to peddle because, like Internet usage, demand for these services really is predestined to grow. That doesn't mean you'll make money, though, and excess supply may again be the culprit. Aged care is a highly regulated industry and the Government funds three-quarters of revenue. Regulation also provides a significant barrier to new operators getting a foothold. The supply of bed licences, specifically, is tightly controlled through the Aged Care Approvals Round (ACAR). 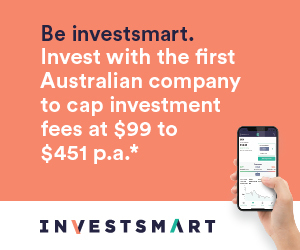 Government funding, supply caps and relentlessly growing demand is the stuff of investment banker fantasies – which is perhaps why in 2013 there were no listed aged care providers, and suddenly we have three. Or maybe the previous owners of Japarra, Regis and Estia wanted to sell out because they saw what we see – the balance between supply and demand is shifting. Several Government reforms are underway – to be progressively implemented over the next decade – that are designed to increase the level of private co-contributions to the cost of care. The Government wants to reduce funding so as to rein in the healthcare budget but, as it does so, the attractiveness of alternatives to aged care, such as home care, increases. More worrisome for operators is that the Government wants to attach subsidies to the consumer rather than the residential aged care provider. Home Care Packages already made the shift to a consumer-directed care basis last year. Furthermore, the Productivity Commission has recommended the removal of limits on bed licences and if the Government follows through on that plan, there would likely be a huge increase in the supply of places and fewer barriers to entry. Not-for-profits make up two-thirds of the industry but supply constraints have historically ensured that for-profit operators still got their fair share of residents. If bed licences are deregulated, however, it's difficult to imagine anything other than eroding margins and returns on capital. Increasing competition is bad enough, let alone competition from operators that are indifferent to making money. With bipartisan support for the current roadmap, we expect deregulation to continue. With a very uncertain regulatory outlook and rising competition, this is one industry we're happy to throw in the too hard basket.